This course is tailored to your needs; use your data and account to get started with your own in-house SEO campaign. We show you how to use the Google’s free tools (Google Analytics and Search Console), alongside leading SEO tools SEMRUSH and KWFinder to analyse your own traffic and gain valuable insight on your business and your competitors. 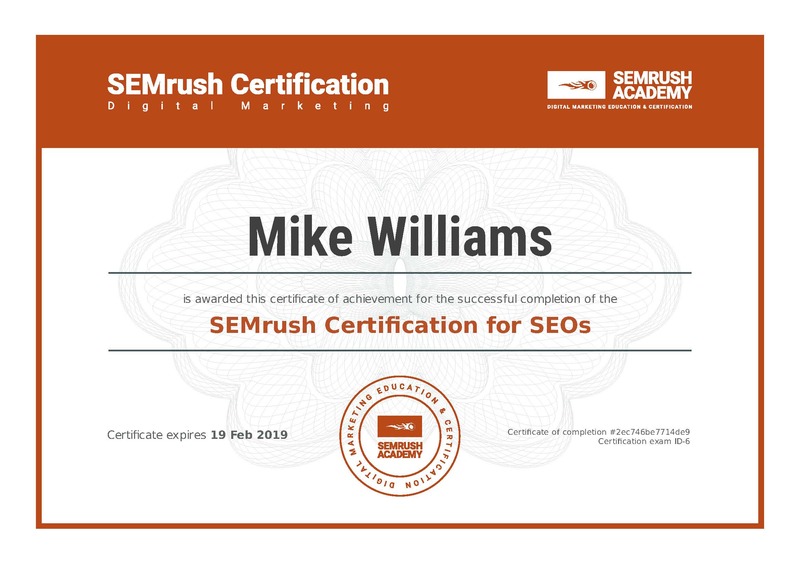 At the end of the course, you will have everything you need to get started with your own SEO campaigns – or all the burning questions you need to brief (or monitor) and external SEO agency. Of all digital marketing, SEO can be the most impenetrable – full of technical jargon and changing algorithms. We make the tools easy-to-understand, allowing you to save time and boost results! Because the course is built around your knowledge and objectives, we can cater to all skill levels. Each course includes a FREE half-hour pre-consultation (by phone, Skype or face to face if you are local) to establish needs and agree on outcomes. And because we want your campaigns to be a success over the long term, we offer nearly unlimited follow-up support for any technical questions you may have. Learn the basics of Mangools KWFinder tool. PLEASE NOTE: in addition to Google Analytics and Search Console, you will need an account with SEMRUSH and KWFinder. A free account will provide the basics, but we recommend purchasing a monthly plan if you are serious about your in-house SEO. *Additional members of staff can be included for £65 per person. Price includes travel to your premises, within 30 miles of NE4. Travel beyond 30 miles is charged at 45 pence/mile. Training can also take place at our offices in Newcastle Upon Tyne. You will need to bring laptops for all members of staff attending.